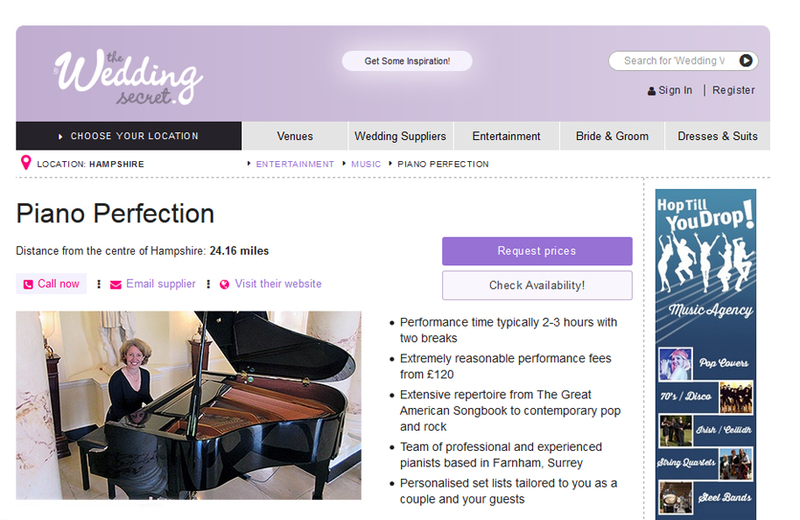 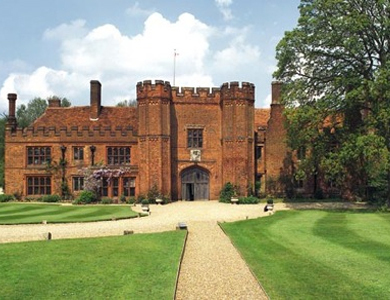 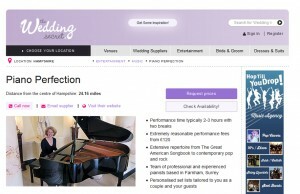 We’re really pleased to announce that Piano Perfection is now listed on The Wedding Secret. 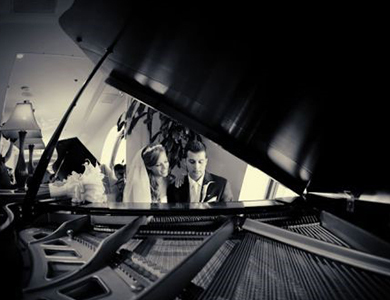 So, while I will take care of the music, The Wedding Secret will make sure that planning your wedding is as easy as possible. 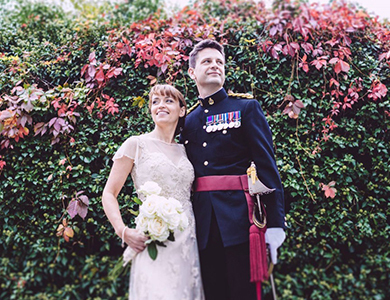 I’m so excited to see how many couples will get in touch with me through The Wedding Secret, I hope the website proves to be useful to you as well!